With a few threads and an eye for detail, the unappealing pantry bag became a Depression-era fashion item for working-class women in rural Canada. Dressing during the Great Depression pushed women to the seams of their creativity. When searching for materials, they often opted for the raw cotton or burlap sacks in which kitchen flour or animal feed was delivered. Companies realized how the bags were being repurposed and aided the effort by printing pleasant designs, fringes, and borders on the fabric. In some cases, the patterns for children’s clothes, bibs, and rag dolls were outlined on the bags. 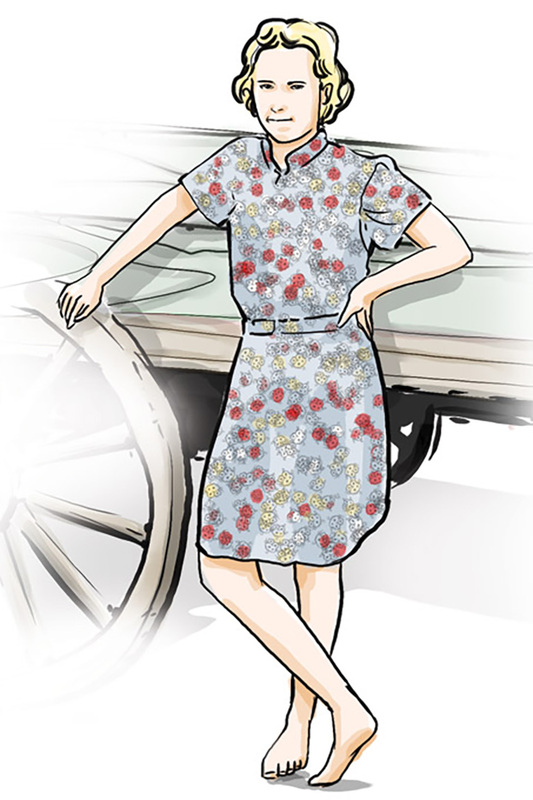 As Canada regained its economic stability in the 1940s, the flour sack dress lost its allure. The Second World War gave the dress a second wind, before it fell out of fashion in the 1950s. An adult’s dress required material from about three bags. The raw cotton and burlap proved nicely resistant to rough wear from children. Brand labels were fabricated to separate, or even to wash away, after soaking the bag. The bags were also used to craft men’s overalls. A war hero and Nazi prison camp escapee is remembered in Nova Scotia.